Primo Commercial 1 group Pod machine. 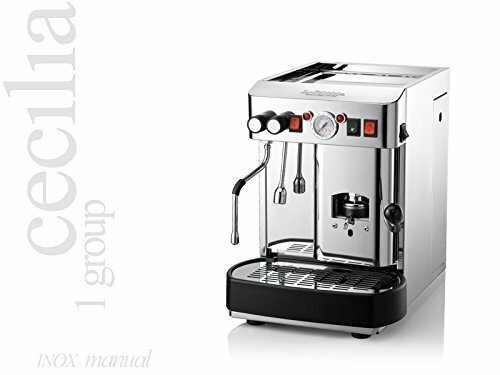 A small commercial espresso machines that delivers big. Suitable for home or business. Uses paper pods so no coffee grinder is needed. 125 drink per day output. 2.5 lit boiler is fed by a 3.5 liter removable water tank. Tank has a low water indicator and a locking side door, perfect for self serve. Mounted pressure gauge monitors group pressure. Separate steam and hot water spouts. Efficient V110/1300 Watts.H18x 13 x 18 deep ETL Certified. Made in Italy.